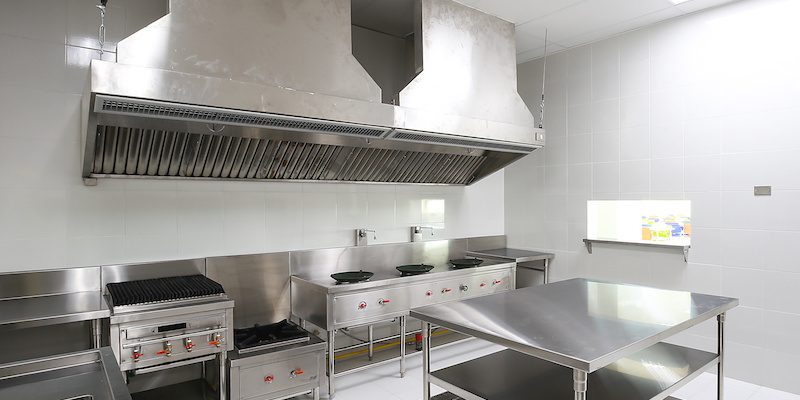 Our commercial kitchen cleaning and sanitisation service is extremely comprehensive and we can provide certification for insurance purposes. This process also includes a portfolio of photographs if required. The service itself involves the systematic cleaning of single items; cookers, fat fryers, walls, tiling or cladding, Altro flooring, quarry tiles and also a steam generating service. At R Nightingale we can also take care of environmental health requests from local authorities. We deal with everything from properties in despair to syringe removal, always following the correct procedures at all times. If you require your industrial premises cleaned, we are experienced in large production line cleaning and degreasing of equipment. We use the most up to date methods and equipment and are able to provide high level factory cleaning with our own fleet of access platform machines. If its specialist dust removal you require then we can also take care of that using Microtex filter machinery systems. All of our staff are fully CRB checked and are polite, smart and courteous. We also ensure that all of our employees follow strict health and safety procedures and we are governed by Peninsula for all our health and safety requirements.